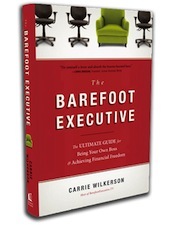 Tag Archives for " The Barefoot Executive "
Is Being Congruent the Secret to Making More Money? Don’t let the title of this post fool you, it’s not about doing something to make more money, it’s about being true to yourself and the fact that often that’s the secret to success that few talk about. If you hang around a long-time entrepreneur for any length of time you’re bound to hear their origin story – and there’s a pretty good chance that if you tracks the ups and down of their working past you’ll see some moments when they made a turn in the road that had great impact. It’s fashionable these days to refer to the idea of “pivoting” a business to adjust to market demand, but I think most individual entrepreneurs do a lot of pivoting but it’s often a move to regain some congruence. 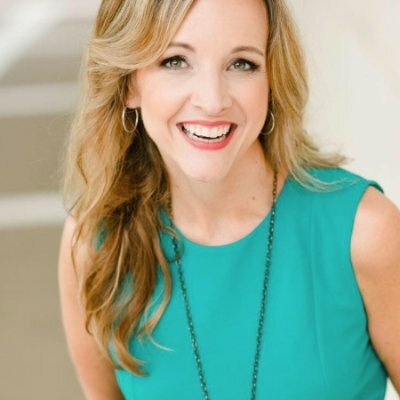 My guest for this week’s episode of the Duct Tape Marketing Podcast is Carrie Wilkerson. She is a best-selling author, international speaker, radio guest, and sought-after “really nice person.” She is the author of The Barefoot Executive. She and I discuss why alignment and congruency are so important for business success. Featured on CNN and Fox Business News and named by Forbes as a top small business influencer, Carrie has consulted with Google and other influential business leaders on business growth strategies and current trends. However, Carrie mostly enjoys helping ordinary people lead extraordinary lives. There are couple awkward (for me) moments in this podcast where I wanted to push a little harder, but I think help back because, frankly, I’ve struggled with this idea at times and am not entirely sure I’ve figured it out. What are your tips for marketing a new brand? Why is it valuable to find a niche? How can people say focused when numerous opportunities come their way? Learn more about Carrie Wilkerson. See what Wilkerson is speaking about. Read what Wilkerson is reading: Necessary Endings by Dr. Henry Cloud and The Brain Warrior’s Way by Dr. Daniel G. Amen. If you like the Duct Tape Marketing Podcast, you may also like my other podcast, The Consulting Spark, where I interview independent marketing consultants and agency owners and talk about how they built their business, the struggles they face, and what they love about being in this business. Check it out at ducttapemarketingconsultant.com. 1	Thinking of Starting a Business? Starting a business has never been easier. The Internet and host of free and low cost apps mean that pretty much anyone can start something for very little money. Of course, just because you can start a business may not be the best reason to do so. Wilkerson shares a bit of her personal story of feast and failure and wanting to find a way to be with her kids while creating a business, but this book is more than her story, it’s a road map of what to do and what not to put together with lots of hard work.